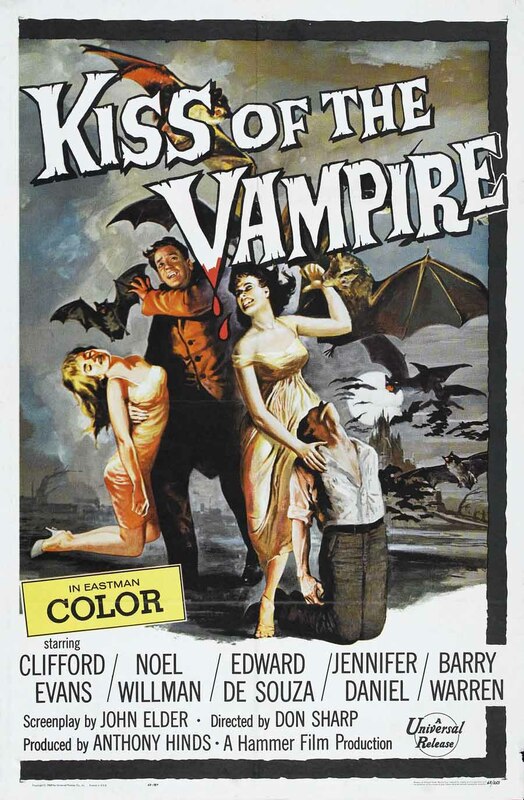 Kiss of the Vampire (1963, UK) is a Vampire film directed by Don Sharp. Giant devil Bats...summoned from the caves of Hell to destroy the lust of the Vampires! Shocking! - Horrifying! - Macabre! This page was last modified on 7 May 2018, at 22:45.